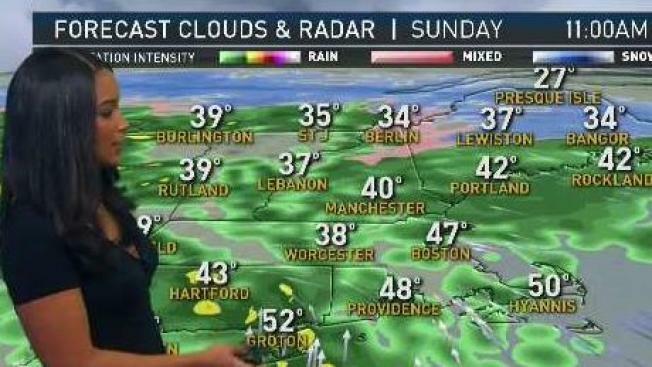 Sunday will be wet before colder air moves in. Warm air will surge in throughout the day, changing any mixed precipitation to rain. The rain may be locally heavy. At this point, a widespread half an inch to an inch of rain is likely. It’s possible that we could see some thunderstorms. If thunderstorms materialize, rainfall totals may be locally higher. Monday is quiet and mild. A secondary cold front will move through with an isolated rain or snow shower. Tuesday through Thursday look cold, but sunny. Temperatures are a little closer to average by Friday with a couple of showers possible. Next weekend looks a bit more interesting. Models are hinting at a coastal storm. There could be enough cold air to support snow all the way to the coast.